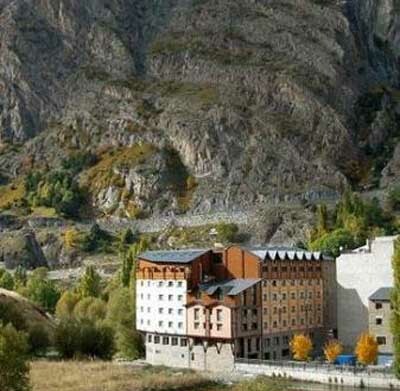 Discover Canillo in Andorra and find out what you can do in your stay there. Canillo is located northwest to the Principality of Andorra, and counts on an area of 120 square kilometers, being this way the largest parish throughout the principality. The parish has various population centres, and the capital is Canillo. 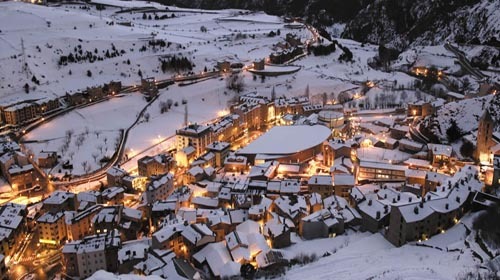 Canillo is considered as the summit of Andorra, since it is one of the highest parishes in the principality. Besides, Canillo is a contemporary and mountain tourist centre that offers quality and peace to the visitors. The environment has privileged spots of great beauty that constantly invite to enjoy the nature with an ample offer of active tourism. Canillo, El Tarter y Soldeu are the localities that act as entries to Grandvalira, the largest area of the Pirineo to ski. There, a fabulous offer of activities related to snow is provided to guests, and it isn’t strange because you can enjoy approximately five months of snow per year in Andorra. The weather in Canillo is usually colder and drier than in the rest of the parishes of the principality. 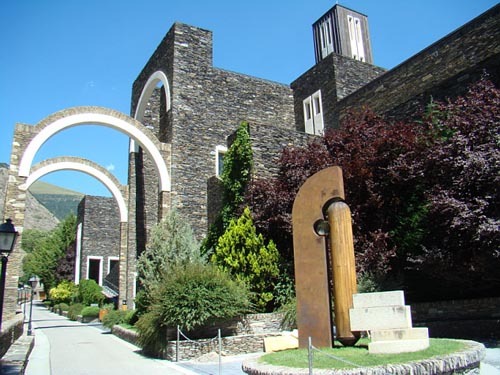 Visiting the Meritxell Sanctuary is a must visit if you are passing through Canillo, since it will let you know better the Andorran history and culture. Furthermore, it is very interesting to know the Romanesque legacy of the parish, in which you will find the Sant Joan de Caselles Church. If you visit Canillo during Christmas, it is recommendable to see the Christmas nativity scene of Canillo, where more than 200 figures in real size transform the streets of the city and give a Christmas atmosphere of the time. 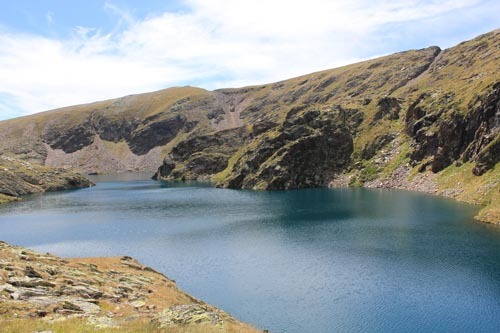 The valleys and mountains of Canillo offer peace and beauty in equal measure, specially offered by its net of lakes and mountain areas. It is important to emphasize that this area has a big number of interesting tracks and paths, covered by several hikers every year. 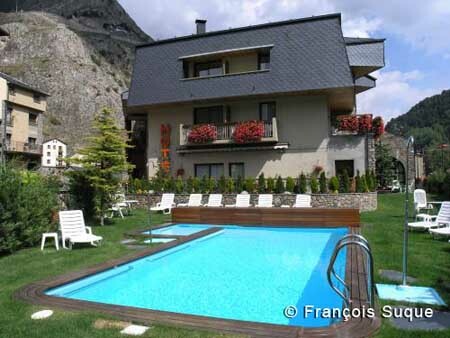 The villages and localities of this zone enjoy a typical architecture of mountain, so you can enjoy a cozy atmosphere. Regarding the active tourism, Canillo offers interesting activities throughout the year. Here you can make excursions with snowshoes, ski, ride with dogs, drive buggies on the snow, hiking, horseback riding, climbing, golf, and endless number of activities. 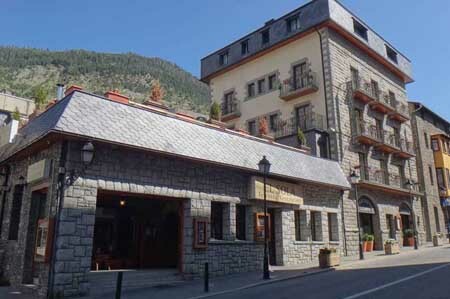 In this locality you will find the Palau de Gel d’Andorra Palace, a high quality leisure and sports centre with ice rinks, tennis courts, saunas, restaurants, etc. Other interesting places you must visit are: the Museum of the Motorbike and the Iglesia de Sant Serni Church of Canillo.